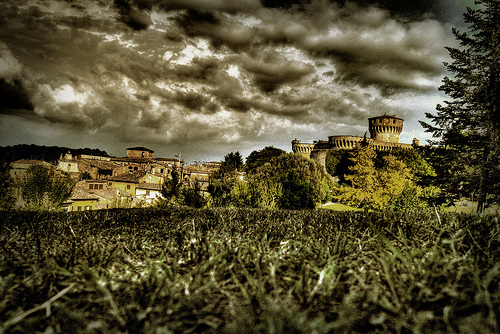 Toscana is the largest region in central Italy. 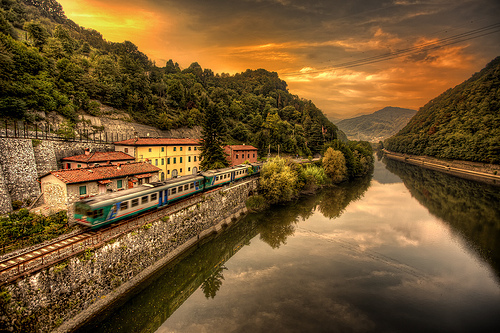 It is bordered by the Tyrrhenian Sea to the west, Liguria to the northwest, Emilia-Romagna to the north (the two regions divide the Apennine Mountains), Le Marche to the east and Umbria and Lazio to the south. 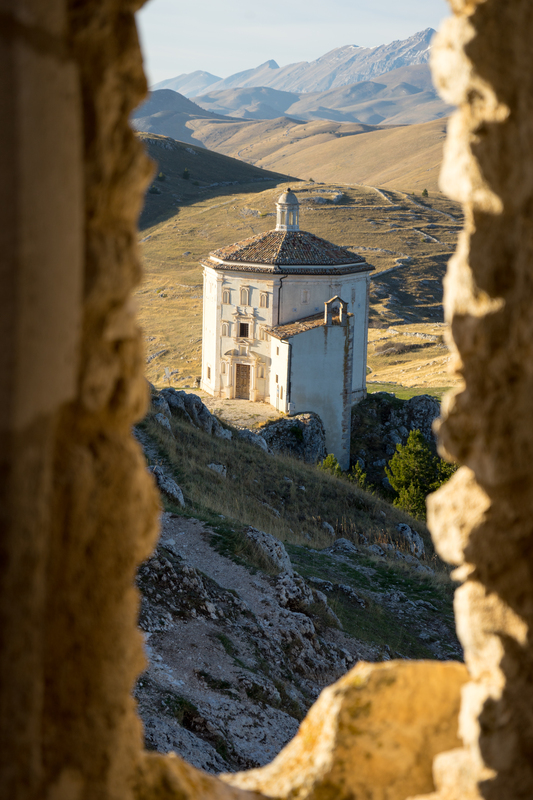 Toscana’s geography ranges from the marble mountains around Carrara to the marshy coastline south of Livorno, to the hills of the central part of the region, including Chianti and the Crete Senesi. 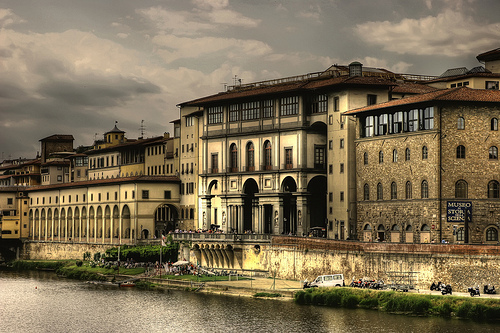 I studied at the University of Firenze (Florence) for a term and had a wonderful time. 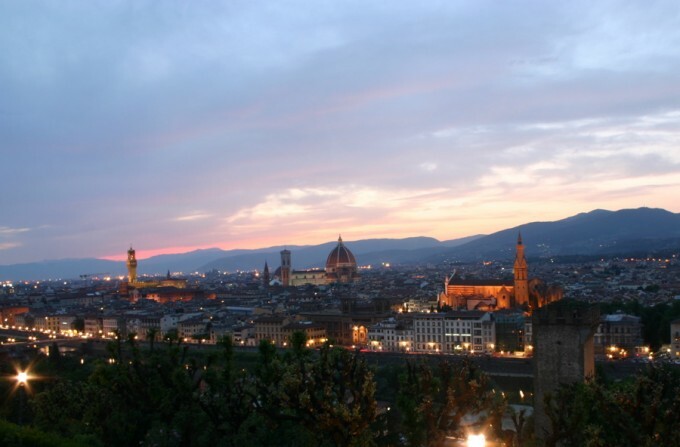 As a student you have a chance to observe the everyday life of the Florentines and visit the region’s many wonders. 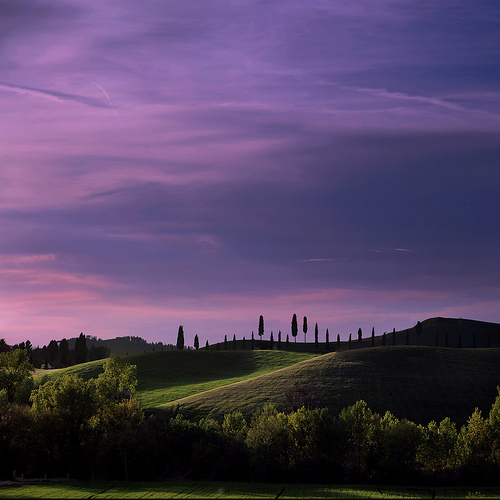 Toscana is famous for its beautiful Renaissance and medieval architecture, rolling hills covered with vines and olive trees, sculpture, paintings, food, and wine. 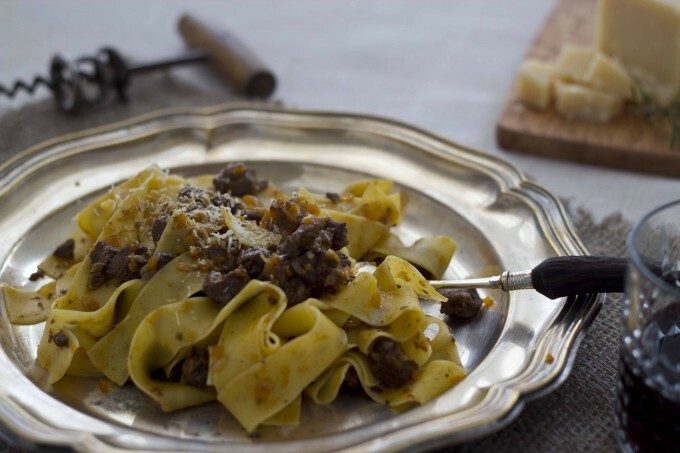 Tuscan food is simple and rustic but delicious. The cuisine here has the flavour of the woods and the hills. Tuscan love grilling meat over wood fires. 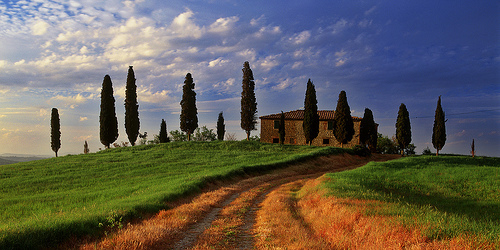 Some Tuscan recipes – like stews or soups – require long cooking times. 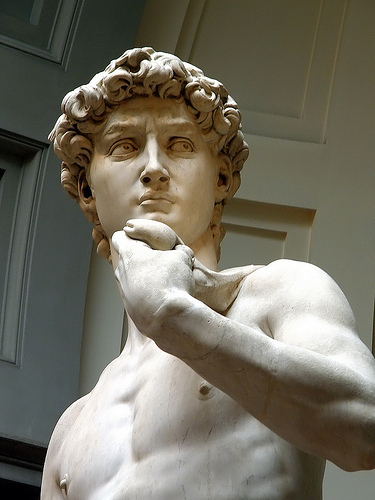 Italian as we know it today was born in Firenze and is best spoken by the Florentines, something they take great pride in. 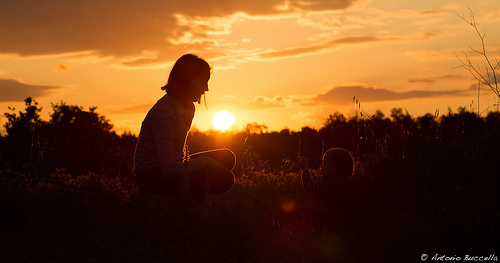 Before Italy was unified into one nation, everyone spoke local dialects. In fact it is estimated that only 2.5% of Italians spoke Italian as a language in 1861. 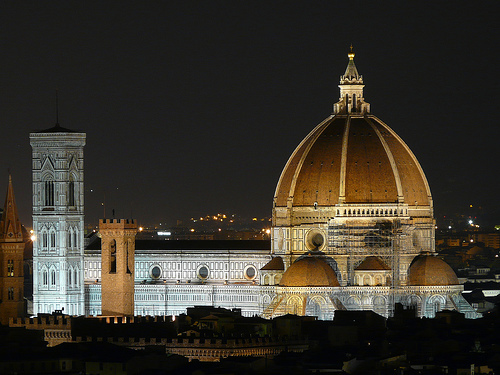 Toscana is also an important cultural and historical centre for the Renaissance period: the city states of Firenze and Siena flourished during that era. Italian cuisine first gained its reputation due to the efforts of wealthy aristocratic Tuscan families, who took pains to document recipes, rather than leaving them to be orally passed on to future generations. 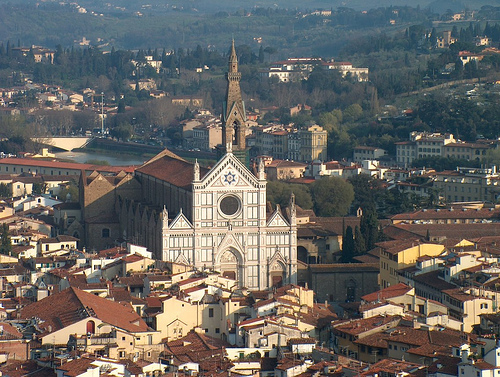 The Renaissance city of Firenze and the medieval hill town of Siena (where you should try to get tickets for the historic horse races of Palio on 2 July and 16 August) are definite “must-sees” Although Firenze and Siena were often at war in past centuries, both are now friendly places to visit and there are many treasures to be found in both cities. 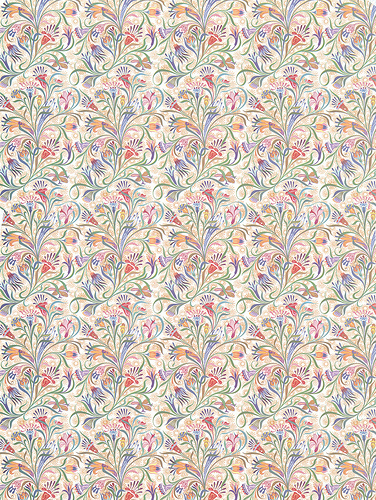 Not unlike the modern Chinese herbalist, La Farmacia di Santa Maria Novella in Firenze, founded in 1612, is one such treasure, producing herbal tonics, lotions and tablets as they did during Renaissance times. 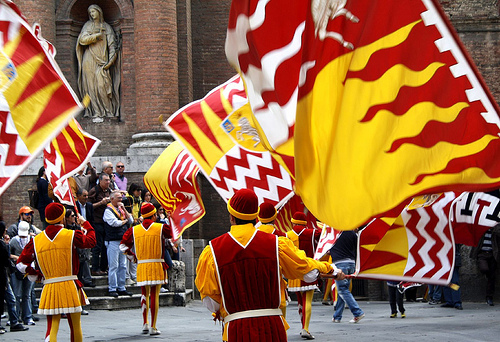 Parade in Siena by Dimitry B. 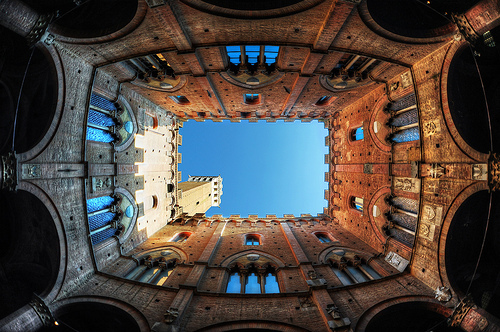 In Siena, don’t miss the Piazza del Campo (the town square where they hold the twice yearly horse race called il Palio delle Contrade) and Palazzo Pubblico (a 13th and 14th century Gothic-style town hall). 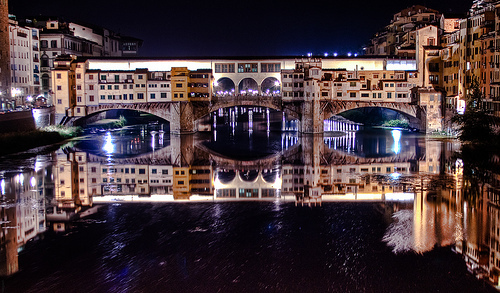 The main sites to see in Firenze are the Uffizi Gallery, the Duomo (one of the largest cathedrals in the world) with its Campanile (bell tower) and Battistero (baptistery), the Piazza della Signoria (town square) and the 13th-century Palazzo Vecchio (Old Palace), the Ponte Vecchio (the oldest bridge in Firenze with many jeweller’s shops on it), the Galleria Palatina (an amazing art gallery with works by Raphael), the Galleria dell’Accademia (a museum with works by Botticelli and Michelangelo, notably the statue of David) and the Chiesa di Santa Croce (Santa Croce church and the square it sits on). 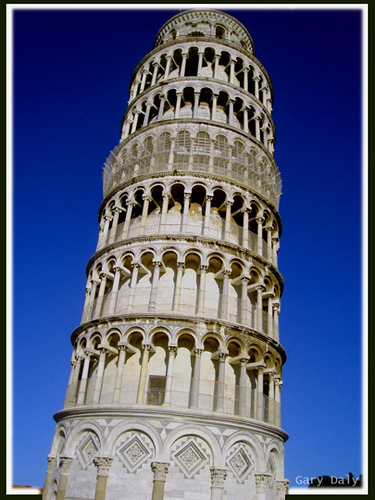 Half an hour from Firenze by train is Pisa, the small city on the Arno River that was once an important Mediterranean port. 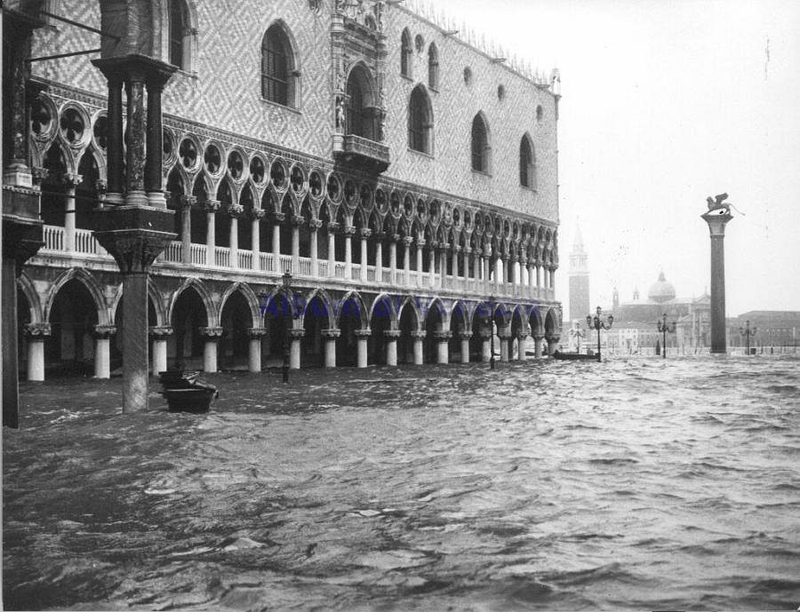 In addition to its iconic Leaning Tower, situated in one of the most beautiful piazzas in Italy, called the Piazza dei Miracoli – or Piazza of the Miracles – don’t miss the chocolate shop of master chocolatier, Paul De Bondt. 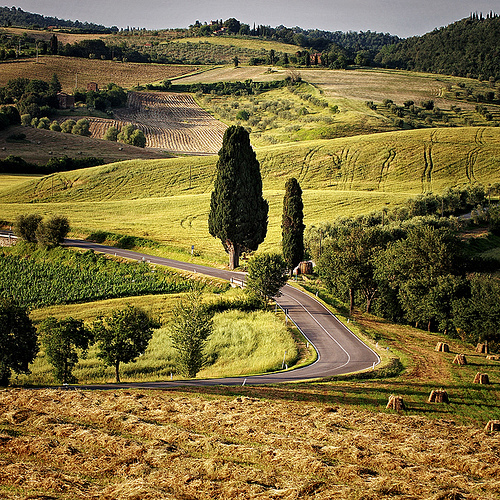 Driving around the Tuscan wine country is also a must. 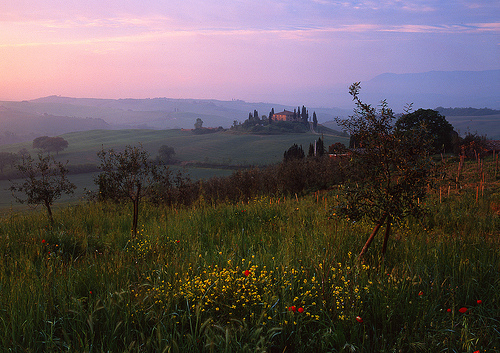 Explore the fine estates making red wines from local Sangiovese grapes in the hills of Chianti, at Montepulciano (a steep Renaissance hill town, one of my favourites) and in the area around Montalcino, where Brunello di Montalcino – one of Italy’s most valued red wines for aging – comes from. There are many small wine bars and restaurants in these areas that offer the chance to taste and buy these wines. 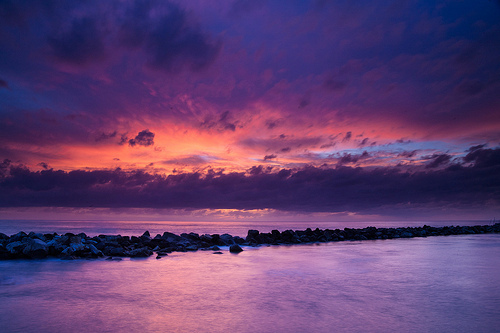 There are some pleasant spots on the coast. 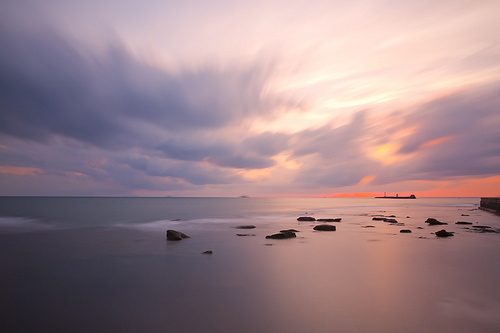 The area south of Livorno in particular -called the La Costa degli Etruschi as this was an area lived in by the ancient Etruscans – is attractive and is known for its fine wines and vegetables. 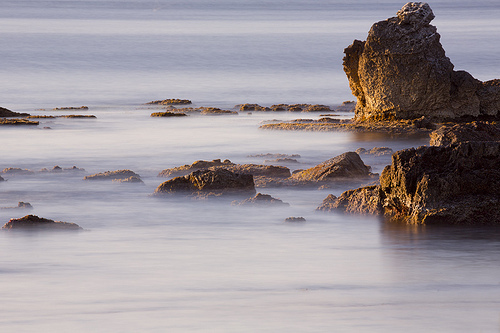 There are many interesting medieval towns and sites along this coastline, including Populonia, (the ruins of an ancient Etruscan city), Massa Marittima, Bolgheri (home to some of Italy’s most famous wines) and Castagneto Carducci. On the coastline between Pisa and Liguria, known as the Tuscan Riviera, Forte di Marmi was a very posh beach destination and can still be fun out of season. Most Italians take their holidays in August so it’s as well to avoid beach resorts during that month. 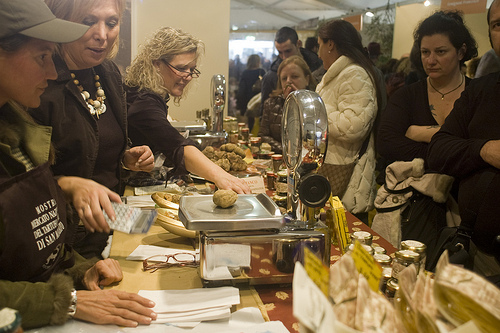 The white truffle market in San Miniato is the easiest place to buy truffles in October and November. 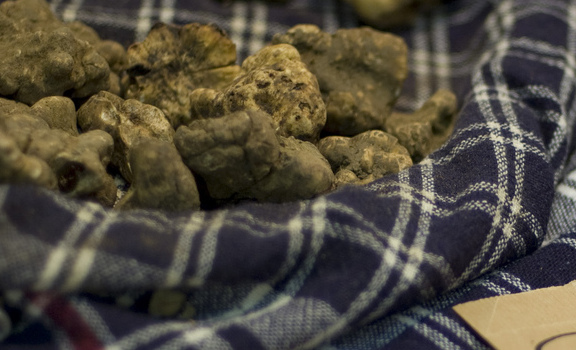 To purchase black and white truffles in season, ask around at bars and restaurants in the town for the name of a truffle-hunter. 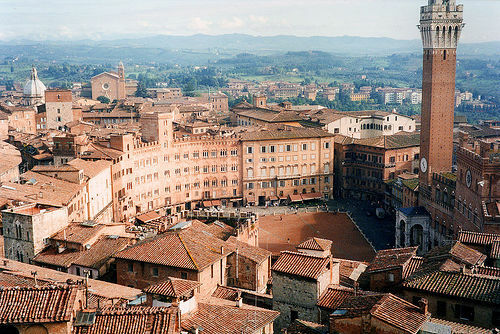 Other places to visit include: Arezzo (a Roman town with a beautiful Duomo and great artistic pedigree: Arezzo province was the birthplace of Michelangelo, Giorgio Vasari and Piero della Francesca), the Arcipelago Toscano, Elba (a mountainous island with beautiful beaches where Napoleon was exiled), Lucca (a walled city with fine Renaissance architecture), the spa resort of Montecatini Terme, Pienza (a small Renaissance town known for its cheeses), San Gimignano (a walled medieval town with 14 stone towers which is nice in the low season) and Volterra (an Etruscan and medieval town overlooking the surrounding hills). From Toscana, I bring home estate-bottled extra virgin olive oil (the bottle should say “prodotto e imbottigliato”), finocchiona salami, biscottini di Prato / cantucci biscuits (crunchy almond biscuits to be eaten alone or with vin santo wine), panforte/pan pepato (a dense nut, dried fruit, and spice cake), vin santo dessert wine and red and white wine. Goods for the kitchen and beyond include pottery, linens, Florentine paper, something from Salvatore Ferragamo, marble from Carrara and leather goods. There are very good luxury clothing outlet stores in Toscana, particularly the Space Prada Outlet (which is much better than the one in Hong Kong). If you buy luxury goods, ask for the value added tax (VAT) refund and then get to the airport early for the long queue to get first the customs stamp (some of the outlets have this office there but you need to bring your passport) and then queue at the tax office to claim the refund. 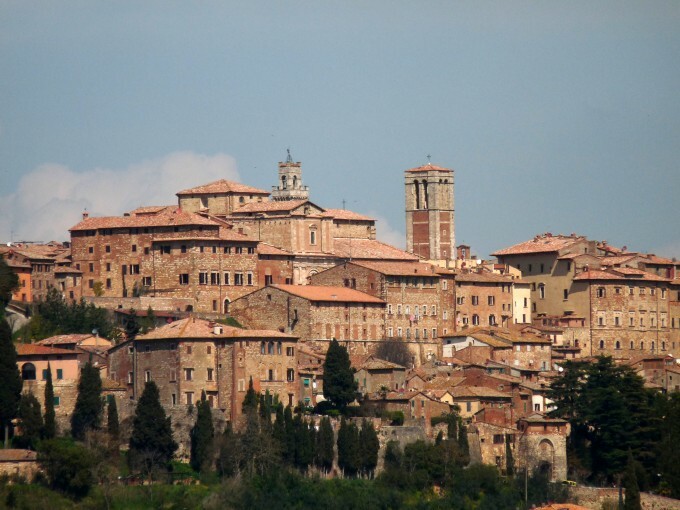 Other towns to visit include: Anghiari (a village overlooking the green valley of Tevere; the local specialty is bringoli pasta with porcini mushrooms), Giglio Castello (a hillside village characterised by its fortress walls on the island of Giglio) and Poppi (one of the most beautiful towns in Toscana with its own castle overlooking the Casentino valley; try the local specialty- tortello di patate (potato filled pasta)). Herbal tonics, lotions and tablets as well as soaps, perfume and room fragrances with outlets in Tsim Sha Tsui and the IFC in Central in Hong Kong. A popular ice cream parlour, some say the best in Firenze. 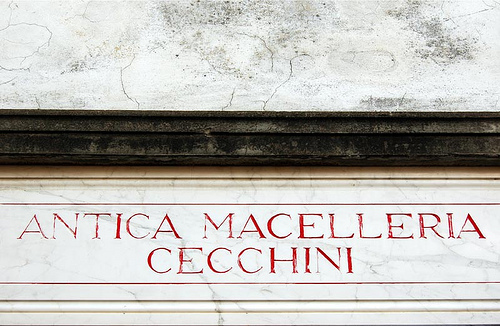 I used to eat dinner here every Sunday with friends when I studied in Florence. 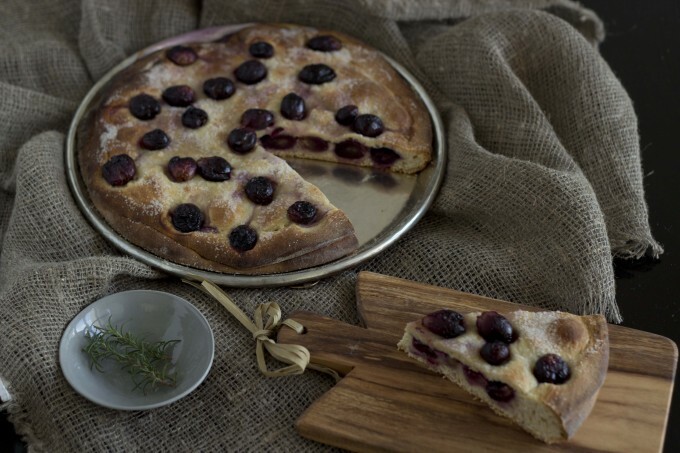 I love their schiacciata. 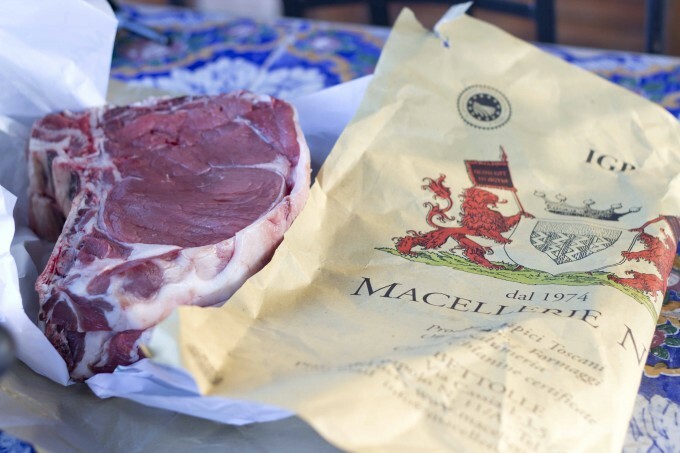 This butcher’s shop with restaurant attached has some of the best steak in Toscana and is a great place to try the famous T-bone, or bistecca fiorentina. A great place to buy Prada and Jil Sander. An outlet carrying Alexander McQueen, Bottega Veneta, Dior, Fendi, Giorgio Armani, Lanvin, Gucci, Prada, Loro Piana, Salvatore Ferragamo, Stella McCartney, Valentino and Yves Saint Laurent. They have a customs office where you can get your VAT refund stamped so bring your passport. 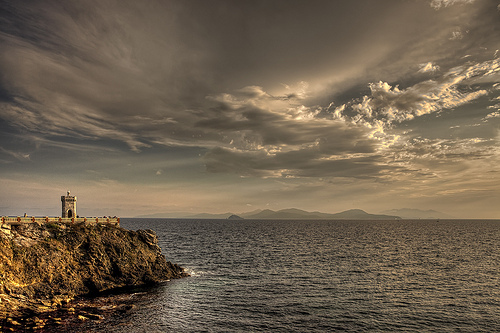 Restaurants along the Tuscan coast generally feature more seafood, while the hilly inland areas are better known for meat and cheese, especially pecorino cheese. Bread, beans, extra-virgin olive oil and vegetables dominate the Tuscan menu. Tuscan food is tasty and highly salted. Soups are popular, especially those made with legumes and vegetables. Meats tend to be grilled or slowly stewed. Pork salumi are popular too. Historically, bread was baked communally once a week. Traditional Tuscan loaves are very large, and the Tuscans are very good at making use of stale bread. They use it in soups and some salads. 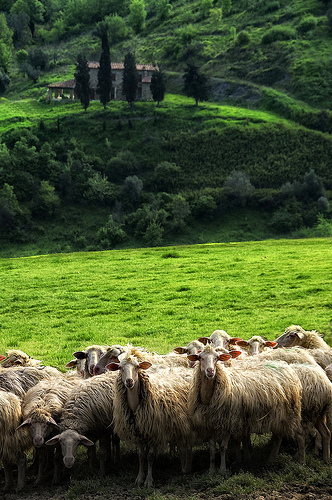 Tuscans are famous for not adding salt to their bread. 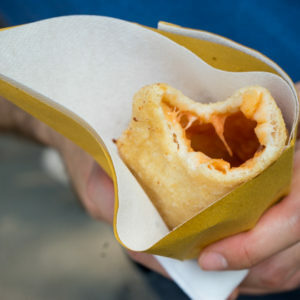 They prefer to allow the flavours of their foods to dominate the taste of the bread. 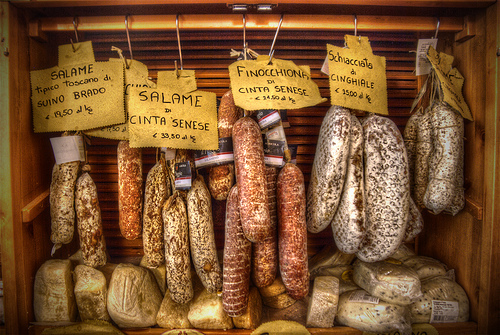 Many Tuscan salumi and condiments are highly salted to compensate for the unsalted bread. 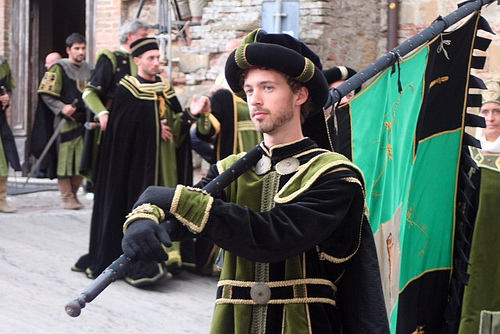 The Florentines stopped adding salt to their bread during a dispute with Pisa in the 12th century when the Pisans created a trade embargo on salt to Firenze. 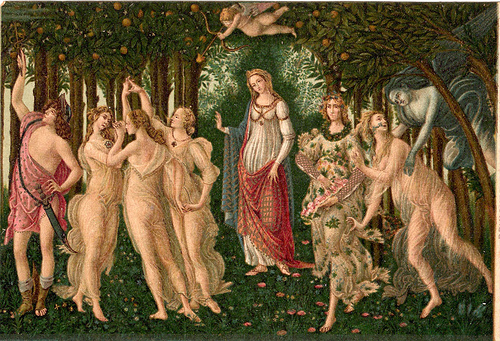 Since salt was an expensive luxury at that time, Florentines simply decided it was not needed in bread. 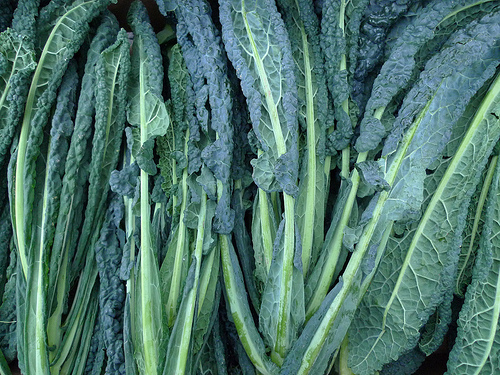 Local ingredients include olive oil and olives, the Tuscan black winter cabbage (cavolo nero) and nuts such as chestnuts and pine nuts. 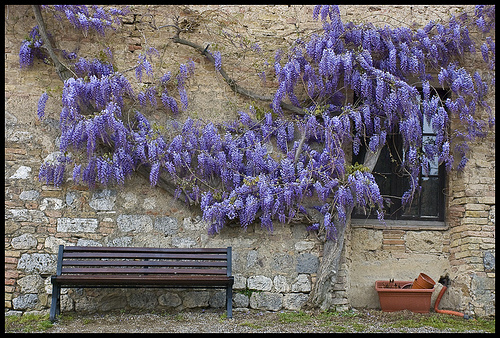 Tuscans love legumes and flavourings such as thyme, sage and rosemary. There are many types of mushrooms which grow locally such as porcini, chanterelles, morels, honey agaric, white truffles, black truffles and imperial mushrooms. 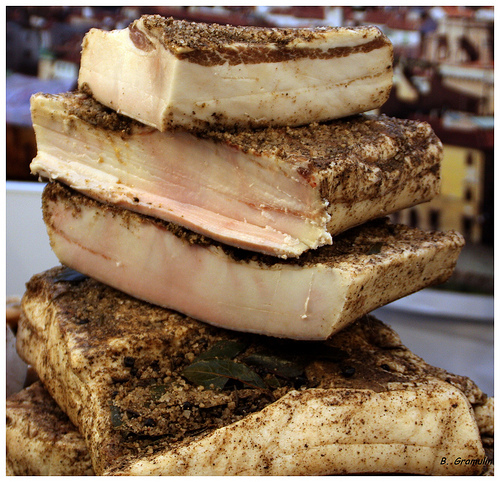 Pork, wild boar and related products such as salami and lardo (spice cured pork fat) feature in many Tuscan dishes. Also many types of berries are grown such as blackberries, raspberries and strawberries. 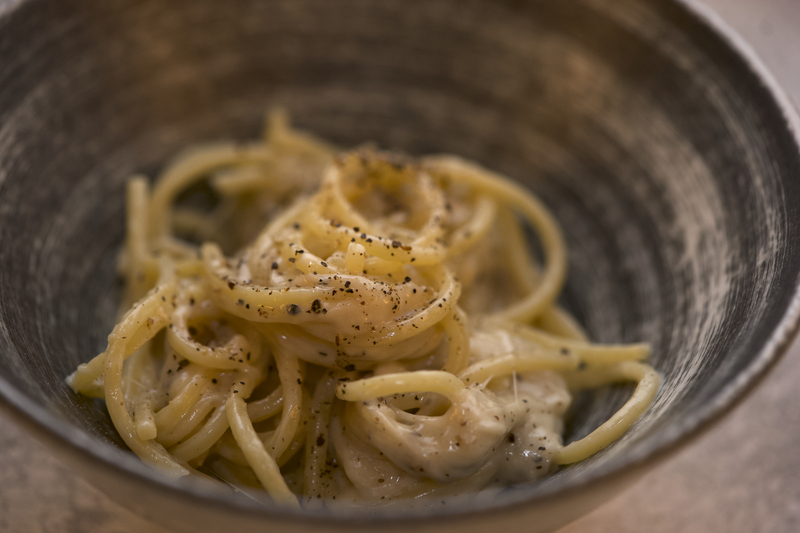 Tuscan food is often quite simple to prepare, without complicated techniques or equipment. 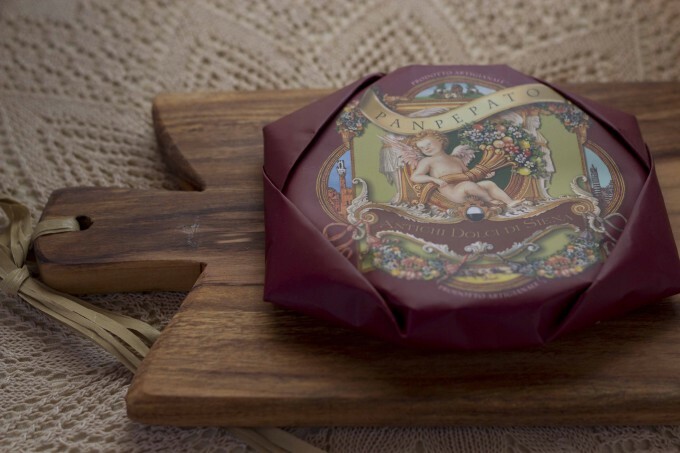 Tuscans start with good quality ingredients and allow their flavours to shine. When I think of Toscana I think of grilled meats (such as the famous T-bone steak, called bistecca alla fiorentina, which is at its best when made using Tuscan Chianina beef), sugo di cinghiale (wild boar ragù), beans of all kinds, pecorino cheeses (either young and delicate or aged and more powerful), farro (emmer wheat that was popular with the ancient Romans and has had a recent renaissance), seasonal vegetables, bruschette and crostini (grilled bread with different toppings), wild mushrooms such as porcini, peppery extra virgin olive oil, insalata di tonno e fagioli (tuna and bean salad), ciabatta bread, light and fluffy or crispy versions of schiacciata , panzanella (bread and tomato salad), pappa col pomodoro (bread and tomato soup), tripe sandwiches and gelato. 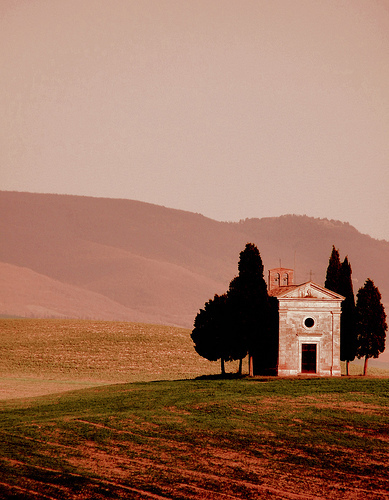 See Tuscan recipes here. Tuscans are known within Italy as mangiafagioli (bean eaters). 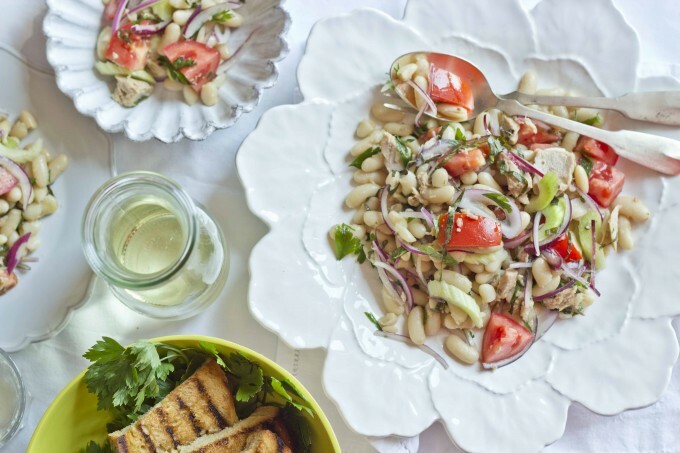 They love beans and use them in lots of interesting ways throughout their meals: spread on crostini as a starter, mixed into pasta or soup as a first course and accompanying meat in the main course. 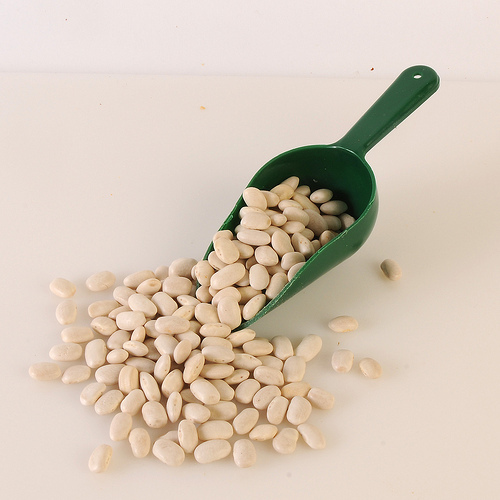 Many varieties of bean are native to Toscana, including the yellowish zolfino and the white cannellino. 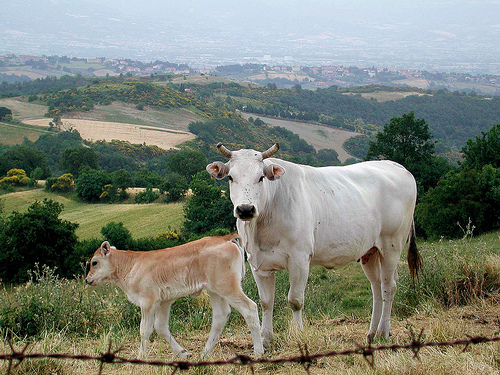 Tuscan Chianina cattle are sought after for their meat which may be low in fat but is not dry; it has a lovely, slightly salty flavour and a tender texture. The bistecca alla fiorentina is a magnificent dish and a trip to Toscana without trying one would be a shame. The steak is cut two fingers thick from the loin and sirloin of the Chianina cow and is grilled over a very hot wood fire. It is always served rare. Pork is also highly prized and in medieval times the size and value of a forest was measured by how many pigs it could sustain.2 Many types of sausages and salami are made in Toscana from pork including finocchiona (a fresh, loose-textured fennel flavoured salami which I love). Tuscan prosciutto is always saltier than the Parma variety. 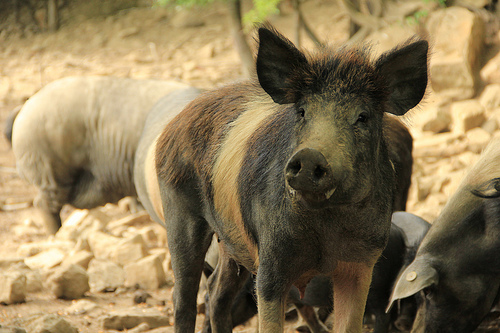 The most famous breed of pig here is the Cinta Senese, an ancient breed that is now mostly reared free-range in the woods, where it can eat acorns, beechnuts and fruit. Tuscans also have very nice desserts. 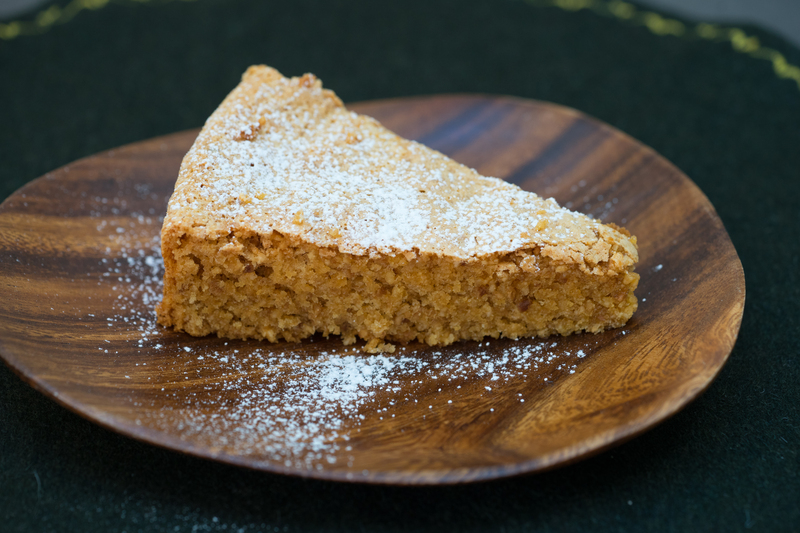 Some of my favourites are schiacciata con l’uva (grape and sugar bread), frittelle di riso (rice fritters) and zuccotto (a sponge cake filled with chocolate and whipping cream). 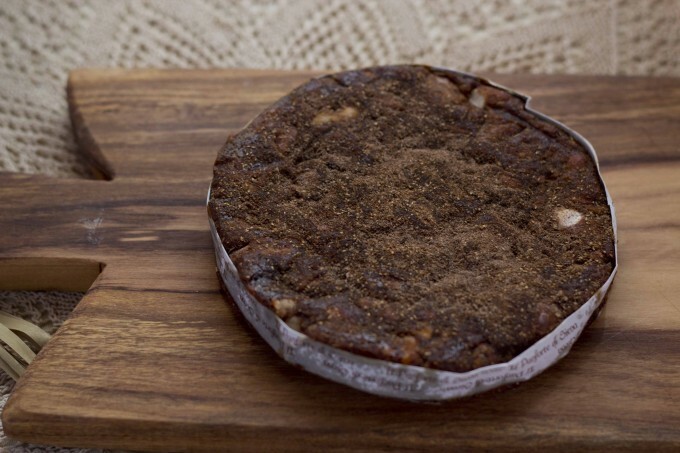 Many of the desserts, such as panforte, started as medication as sugar and spices were seen to have medicinal properties. Tuscans claim to have invented gelato: the Florentine cook, Bernardo Buontalenti, is said to have invented ‘modern’ ice cream in 1565, though frozen desserts were known to the ancient Romans and in Sicilia long before that. Either way, gelato is extremely good here. Tip: Don’t buy from the gelaterie with brightly coloured gelato piled high with lots of decoration. It’s a sign of lots of food colour and potentially old gelato if their turnover isn’t high. The best gelaterias don’t need gimmicks and the colours should be paler and more natural. Also, if you are not sure you want a flavour, ask to taste it first. My favourite flavours are pistacchio (pistachio), yoghurt, nocciola (hazelnut), Nutella (chocolate hazelnut), and melone (melon). 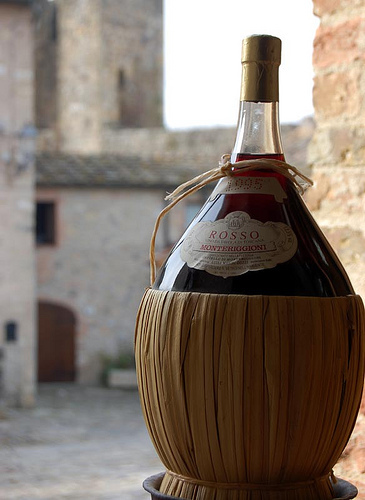 Toscana is a very prestigious producer of quality wines – the days of cheap plonk being bottled in Chianti potbellied flasks are long gone. 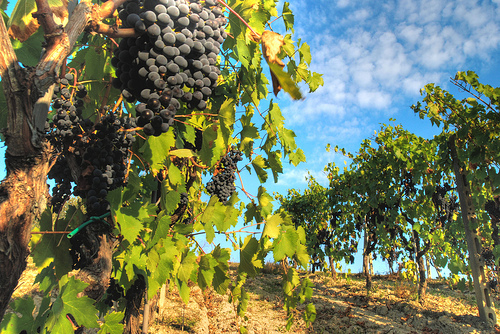 The most important grape variety is the red Sangiovese which is at the heart of some of its most iconic wine denominations: Brunello di Montalcino DOCG (one of the best wines in Italy), Carmignano DOCG, Chianti Classico DOCG, Chianti Rufina DOCG, Morellino di Scansano DOCG and Vino Nobile di Montepulciano DOCG. 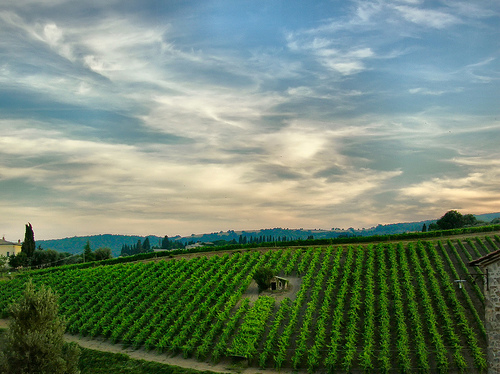 Sangiovese is also often present in the so-called Super-Tuscans, which are wines that are made outside of the traditional denominations. 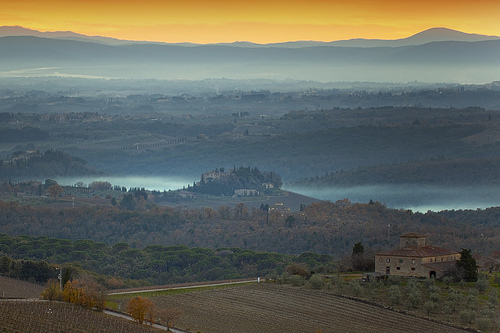 Suggested producers of Brunello di Montalcino include Altesino, Argiano, Banfi, Biondi Santi, Caparzo, Ciacci Piccolomini d’Aragona, Conti Costanti, Fuligni, Lisini, Sirio acenti, Pieve Santa Restuta (Gaja), Poggio Antico, Sesti, Soldera and Tenuta il Poggione. Worthwhile producers of Morellino di Scansano are Jacopo Biondi Santi and Poggio Argentiera. Producers of Chianti Classico to try include Antinori, Badia a Coltibuono, Barone Ricasoli, Bibbiano, Castello di Fonteruotli, Castello di Volpaia, Fattoria Casa Sola, Fontodi and San Fabiano Calcinaia. 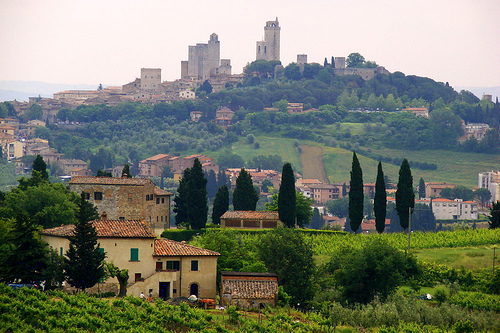 For wines from Chianti Rufina, try producers such as Antinori, Castell’in Villa, Fattoria Selvapiana, Felsina, Isole e Olena and San Felice. 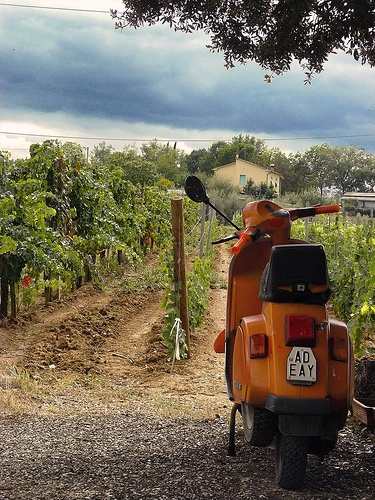 Vespa outside Montepulciano by Cate! 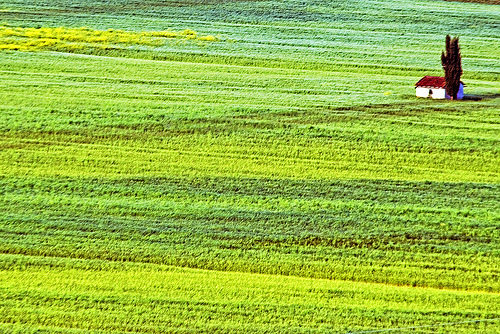 Better producers of Vino Nobile di Montepulciano include Avignonesi, Contucci, I Macchione, Icario, La Ciarliana, Poliziano and Salcheto. 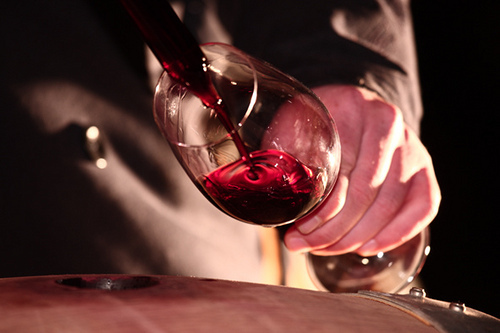 Many of the Super-Tuscans were created by the same great winemakers that make the more traditional Sangiovese based wines. 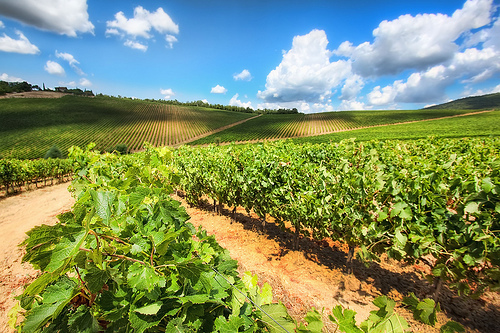 These wines typically are made with a single varietal (typically Merlot or Sangiovese) or a blend of Cabernet Sauvignon, Cabernet Franc, Merlot, Sangiovese or Syrah grape varietals. The first of these wines and still the most famous are Sassicaia and Ornellaia. 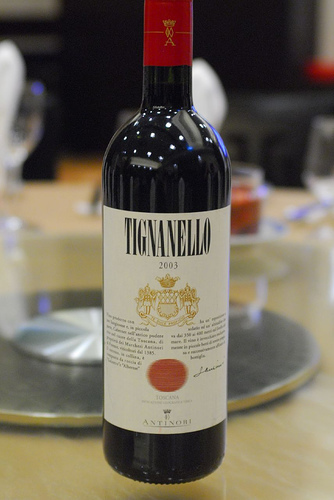 Other excellent Super-Tuscans include Ca’ Marcanda, Camartina, Capezzana, Guado al Tasso, Lupicaia, Piastraia, Siepi, Solaia and Tiganello for the blended Super-Tuscans; Cepparello, Le Pergole Torte and Flaccianello della Pieve for the pure Sangiovese Super-Tuscans; Paleo which is a pure Cabernet Franc Super-Tuscan; and Galatrona and Masseto, for the pure Merlot Super-Tuscans. 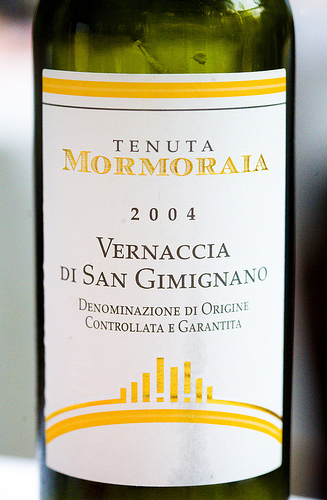 The most famous white wine of Toscana is Vernaccia di San Gimignano DOCG. 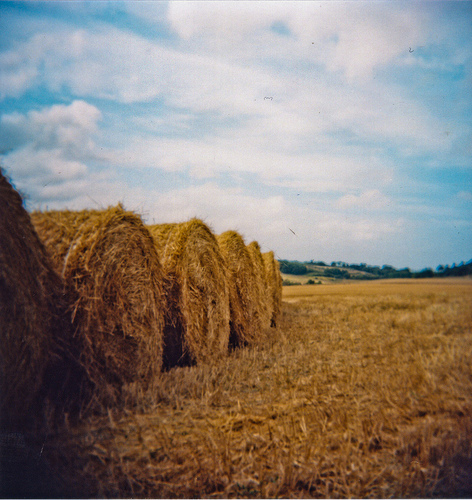 Suggested producers include Cesani, Mormoraia and Panizzi. 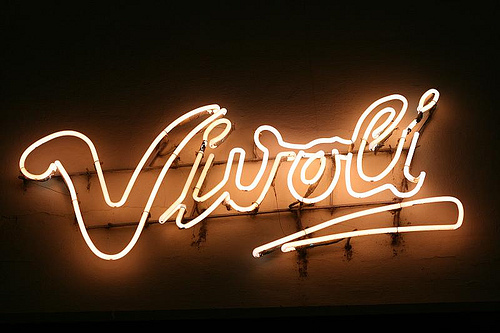 Vin Santo (the name means holy wine) is a lovely dessert wine from Toscana. 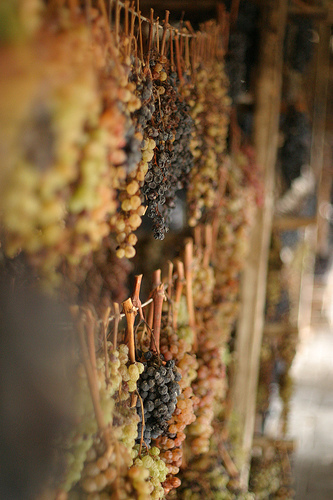 It is made from semi-dried grapes that are laid out on racks or straw to dry after being picked. 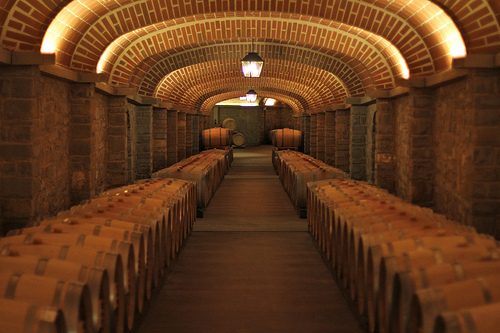 The wine is aged in small barrels that are traditionally kept in the attic of the farmhouses where the wines feel the temperature changes from summer to winter. 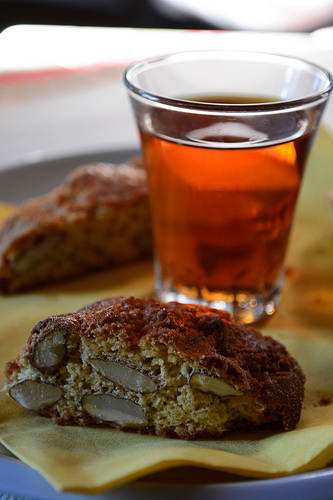 Vin Santo can be dry or very sweet, and although it is often served with sweet biscotti, is much better enjoyed alone before or after a meal, like a sherry. 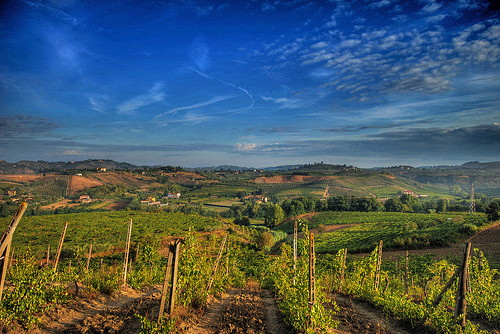 Consistently good producers include Avignonesi, Capezzana and Isole e Olena. 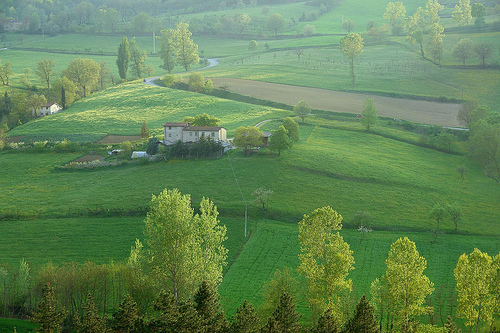 Toscana is also an important producer of extra-virgin olive oil. 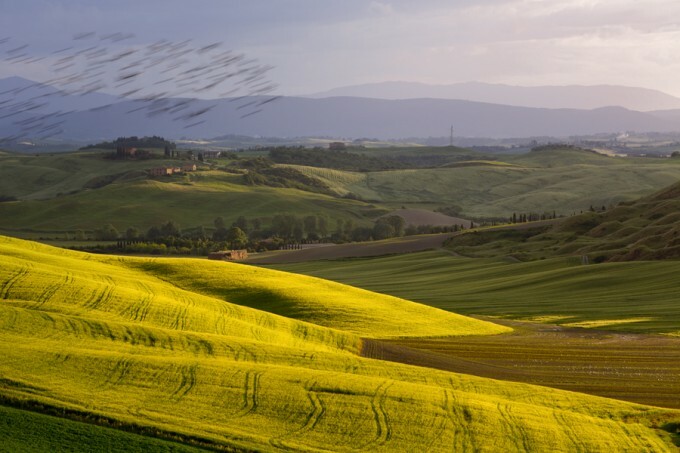 This varies in style from the milder oils of Lucca and the coast to the fiery, green and grassy oils of the higher hills, notably around Montalcino. Many fine wine makers also produce great extra-virgin olive oil, so if you want to treat yourself to a good bottle, try buying one in a wine shop or enoteca. The Tuscans often add a splash of ‘raw’ extra virgin olive oil to their soups and pastas just before serving, for added flavour.